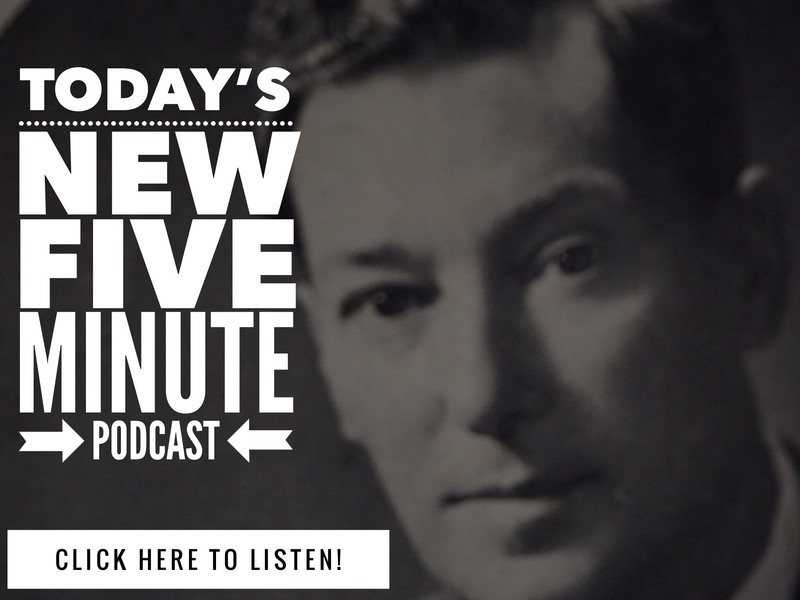 I have been following your postings about the teachings of Neville Goddard for over a year. You explained “the Sabbath” and you responded to my comment. Thank you, I was profoundly blessed by that enlightenment. I am the product of two Pentecostal Ministers and their teachings about God have taken its toll on my life and my achievements. I am writing to confirm that the teachings of Neville Goddard have brought peace to my life and his teachings are “the Way, the Truth, the Life and the way to Abundance. I must share this blessing with you or I shall burst. Because of fear and self-loathing I lost everything. I ended up owing the “IRS” $100,000.00 for penalties, taxes, etc., I haven’t worked in 5 years and the contract I had with the government was not renewed. I thought God was punishing me and didn’t like me. I asked a friend who is an accountant to help me ask the IRS for an offer- in- compromise”. He wanted to charge me $10,000. I can’t even afford to join your prosperity club where was I going to get $10,000.00. I am a Lawyer whose license has been suspended and can’t practice law until I pay the Bar a lot of money. My house is in foreclosure. I have no money. YET!!! A person I met briefly suggested I ask the Legal Aid Office for assistance. Instead, I sent myself a letter to the IRS with a check for $100,000.00 and wrote “paid-in-full.” When the letter was returned to me, I posted it on my bulletin board and wrote “Paid-in-full” on the unopened letter. Then I prepared my offer-in-compromise and offered the IRS $500.00 (five hundred dollars). I sent them a check for $100 which meant if accepted I would owe them $400.00, which I promised to pay in full if accepted. I sent this letter in January 2014. I finally got a job as a telemarketer and was fired after 3 weeks. I have applied everywhere for any job, including baby sister at 24 Hour Fitness a gym I belong to and even know the managers. If the IRS accepted my offer, I didn’t have the money to pay $400.00. I was trying to take my mind off my debt and use any work as my “Sabbath.” Nobody would hire me. I live in San Diego, and my ex-husband and I went to Point Loma on Sunday August 24, 2014, to watch the Sunset. There were many surfers in the ocean looking towards the west waiting patiently for the big one. My ex-husband joked about how weird it was for them to be sitting there wasting time. But I realized then the difference between “desiring” something vs “expecting.” The surfers were expecting waves. They knew it. I turned my desires into expectations – my house, my license and my finances. The next day I got a letter from the IRS. They accepted my offer-in-compromise. All I needed was $400.00. My ex paid it on-line the same day. I went from owing the IRS $100,000.00 to $400.00. My debt is now settled with the IRS and it is a miracle. I am expecting to get my license and my reputation back, and the deed to my house. I will keep you and your audience posted. I give you permission to share my success story. 16 Comments on "My Huge Debt Is Gone – Neville Goddard Success Story"
Congratulations! That is awesome! Thanks for sharing! wow, I need to do the same thing, as a Doctor, I had gotten very ill and looked like I would pass, as most of my friends thought, I was not working but my office was still functioning, as we were processing past payments, etc. While I was out, my office manager received a request from Medicare requesting notes, which she claimed she sent. Upon, returning to work, some 12 months later, they claimed they never received the notes and it was now too late to submit them again, so I owed them, 100,000.00. Help! What a wonderful story! I’m so very happy for Penecostal daughter! Thank you so much for posting this awesome, awesome success story. I, too, am a product of two pentecostal ministers like the writer and until I discovered Neville Goddard and this website I felt like God was against me and all the bad things that happened were his punishment. Now I realize I am very much loved by the true God who is within me, and am allowing myself to live the life of my dreams. I even share what I’ve been learning with my parents. I’ve had many wonderful things happen since discovering Neville and expect to write you a similar story about being debt free soon. I especially liked what the writer says about expecting vs desiring. That felt like a light bulb moment for me. Also want to let readers know that Mr Twenty Twenty is great about responding to questions. He genuinely cares about the people who come to his site wanting to learn how to live their ideal life. Thank you again for sharing. I really needed this story today. Yours is a timeous testimonial. Thank you for sharing it. What a FANTASTIC story! How many people were actually involved in helping this lady? Just through her FAITH, as Neville would have said. A wonderful outcome – I had something very similar BEFORE I found Neville, but I believe I used his advices, albeit slightly differently. We all have to keep on keeping on. This story is so inspiring. I would love to meet you and talk. I too am in the San Diego area. I could use a shot of hope, and it seems you found out. Excellent share! Thank you! Love the desire/expectation distinction – it dove-tailed perfectly with something I experienced today. Yes, THESE are the things we can share, as our group and family kind of grows and shifts and expands…. I am the one who had the new bathroom manifest for a friend and a new car for a partner… YES: this is how it is done. I was listening to 2020 on my walk the other day, and was REminded about how I myself had sort of fell into a Per Unit type of Manifestation… the story is great about the things, the freedom from debts – yes! And yet, suddenly I realized I had focused on one event or thing…and got it, was satisfied, blown away in fact… but was slowing forgetting to…make it my way of life. Moment to moment – not ONLY thing/event to thing/event. I love this stuff. The more we do, the more we remember we are. great story – great share! I am in a stuck position, and I know how I got here. But there is something that happened three months ago regarding a water heater that I need, and had no money for — none, nada — and I don’t own my home, but I consider it mind, period, in spite of what is happening around it at the moment, and how precarious things are (through no fault of my own, having paid month after month for 28 years I have been here) So six months ago with shaky faith I had this issue and my faith really wasn’t strong enough to believe it would be paid for outright. But I went ahead and picked out a heater and knew I at least needed financing for it. So I went to Home Depot, but it was late and I couldn’t talk to anyone about financing. So I did make the arrangement to have the heater installed and the morning of the installation I was going to Home Depot to get financing. I had been looking up what luck people had with this and it seemed $500 was it. I didn’t want to apply and be turned down and $500 wasn’t enough. I needed at least $2,000. Anyway, after checking out way too many forums on this subject and getting more and more sick to my stomach, I shut down the forums and I said where is your faith? Let it go. Give it to God. The other thing I did, however, was arrange for my brother to come with me and perhaps with two people signing there would be no problem. This is where we get our lesson in 1) leaning on God and 2) never talk to a closed-minded Christian about love, especially loving thy enemy, and don’t talk about these teachings. So, anyway, we’re on our way and we’re talking, my brother and I, and, I don’t know, I guess he mentioned something about X political figure, and I said, you know, you always bless those you disagree with and hate no one, and he exploded and screamed at me. This is what my dad was like all my life with me. No matter what good and generous things they have done I have always paid dearly in some other way. Anyway, I was really shaking on the inside, my heart was racing, and I was on the verge of tears. We got out of the car and as we were walking I turned to my brother and said, you know, I’m going to rely on God and everything will be fine, I will have everything I need. I got it. In five minutes I had an account of $2,000 and 18 months at no interest to pay for the heater, which turned out to be $1,200 altogether. The installation was quick, perfect and the people who did the installation were just so wonderful. And, you know, I had also asked for that — I looked in my journal where I wrote about the water heater and what I needed a week earlier, and all of it happened. I appreciate this story that I read here because what is definitely holding me back is complete faith — I have it and then I meddle. What has been helping me lately is Florence Scovel-Shinn’s little books, listening to Neville, and especially listening to how Abdullah taught Neville the Law. I downloaded the 12-minute audio from YouTube, and listening to this in Neville’s voice is, of course, the most incredible pleasure. I live learning how people came to this Law — their skepticism and disbelief, etc. — and how it all worked out. In over a year that I started this I refuse to give up — this is what the Bible is all about, this is what God is all about. This is Truth. is this a success story? the author wrote irs a check for 100k and mailed it to herself…and placed it on her view …just a token that she had settled her debt. but then, she goes n writes irs asking for a settlement. they agree to get their $500 rather than 100k, but what was the role of the letter in this? did she manifest 100k?! i guess there is some confusion in understanding neville…but its normal learning curve for all…i dont think neville ever mentioned vision boards…although i agree they can be helpful. Fantastic story, however, what caught me, thank you Pentecostal Daughter, was the surfers. You explained the insight so clearly, it was like a knock on the side of my head. The difference between desire and expectation. I have lots of desires, the surfers cracked it. Thank you so much. Personally – I’m not into vision boards at all. The problem with them is that people “blame the board” for success – instead of giving “themselves” credit – as the operant power. Imagination is the cause. Nothing in the physical world is cause, the physical world is all consequence. From what I read she didn’t imagine the letter made it happen etc.